Even the best designed and matched-to-conditions level gauge can encounter unexpected pressure issues, which could crush a magnetic level indicator’s float. If this occurs, fragments could enter the process and contaminate a batch. 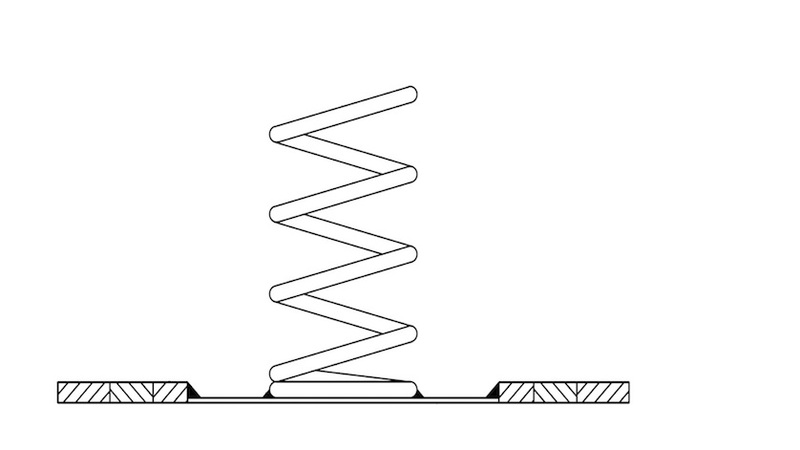 A simple spring gasket assembly prevents the float from being crushed by overpressure and pressure spikes. An obvious priority for manufactures is to keep process media free of foreign objects. Maintaining a contamination-free environment requires 1) preventing external materials from entering the process, and 2) ensuring that none of the equipment spoils the media. Both of these criteria call for careful engineering. For an application that uses a level gauge, overpressure can crush the float – the part of the gauge that moves up or down the chamber along with the fluid level. Big changes in pressure can also damage floats. For example, if operators do not carefully follow the startup procedure in a refinery’s hydrocracking unit, sudden pressure differences will propel a float from the bottom of a bypass to the top, thereby crashing it into the pipe cap and smashing it. Fragments from crushed floats could then escape into the process media. A spring gasket assembly is composed of a spring welded to a strip of sheet metal, which sits snugly in a hole in the center of the gasket. The assembly is then mounted at the top and/or bottom of the chamber. This simple device protects the float inside a level gauge because the spring serves as a dampener for the float in the event of a pressure spike or drop. The entire assembly is generally made of stainless steel and other materials, depending on customer specifications. The materials are selected to withstand specific temperature, pressure, and media conditions. Spring gaskets are particularly useful when magnetic level gaugesare top-or bottom-mounted. Given that there are no side connections, the spring gasket does a good job of keeping the float inside the gauge and preventing it from entering the process media. WIKA USA, a leader in level measurement, provides industry expertise and high-quality instruments for a variety of industries, including refineries, petrochemical plants, power generation, food and beverage, and pharmaceutical manufactures. We also offer custom level indicators for clients’ particular applications. Contact WIKA todayfor more information about level gauges and other level instrumentation.